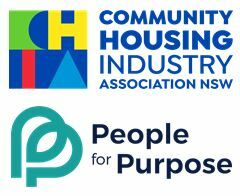 The Community Housing Industry Association (CHIA) NSW is the peak industry group for community housing providers in NSW. Founded in 1993, the organisation works to build a sustainable and flourishing industry able to deliver the best outcomes for the tenants and communities it works with. The community housing industry is growing and diversifying. In 2017 the industry managed over 35,000 properties in NSW. This is set to grow to almost 50,000 properties by the end of 2019 as a result of the NSW Government’s Social Housing Management Transfer Program, which is transferring public housing dwellings to the long term management of community housing providers. Representing a combined membership of over 120 entities, CHIA NSW is committed to supporting this industry growth by providing advice to members, government and potential partners on the best ways to expand the industry’s activities and meet the highest standards of service to tenants, applicants and communities. As a registered training organisation and a champion of diversity and inclusion, CHIA NSW also advocates with local, state and federal governments for more social and affordable housing for people on lower incomes in NSW. CHIA NSW is looking for a visionary Chief Executive Officer (CEO) to build on the strong reputation of the organisation and to lead and inspire its growth. Working closely with the board of directors, the CEO will be responsible for strategic and operational business planning and performance, and the management of day-to-day operations, people and resources. The CEO is also responsible for ensuring compliance with legal, regulatory and contractual obligations while overseeing the sustainability of the organisation. As CEO of a peak body, you will ensure that CHIA NSW best supports its diverse membership base. This includes sector capacity building and industry development initiatives, the provision of training, leading policy and advocacy development and being a primary spokesperson for the community housing industry. The CEO must also be able to build the profile of the industry and represent its interests through relationships with a range of external stakeholders, including State and Local government agencies and Ministers, other housing and homelessness peaks, finance and property industry representatives, and through effective communication and media strategies, including acting as a media spokesperson. A key focus will be working collaboratively with the national industry peak CHIA National and other State and Territory CHIA associated entities, and supporting the development of the Aboriginal Community Housing Industry Association (ACHIA). This is an outstanding opportunity for an experienced leader with a deep and genuine commitment to the provision of social and affordable housing. To be successful in this role, you must have the presence, intellect and influence to accelerate this complex and important work. You will, ideally, have experience in or of a member-based organisation. You will be a, creative thinker with experience in leading reform and improvement as well as demonstrate strong business acumen, as well as advocacy, policy development, partnerships and government relations skills. You will have a leadership style that enhances a strong team culture, creates role clarity and accountability for the team, while nurturing the autonomy required, all in the context of a constantly growing and changing environment. This role is full time and may involve after-hours networking and travel. Community Housing Industry Association NSW (CHIA NSW) is the peak industry group for community housing in NSW. CHIA NSW represents 93 Full members managing around 39,000 properties – the largest community housing industry sector in Australia. CHIA NSW also has 28 Associate members representing individuals and organisations with an interest in community housing. CHIA NSW works to build a sustainable and flourishing industry able to deliver the best outcomes for the tenants and communities it works with. 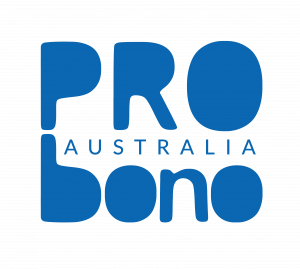 The organisation also advocates with local, state and federal governments for more social and affordable housing for people on lower incomes in NSW. CHIA NSW is affiliated to the Community Housing Industry Association (CHIA), the national peak body that represents the industry in Australia, and works with community housing peak bodies in other jurisdictions to collectively support the industry to grow and operate effectively.